Ceftazidime Tazobactam Injection is formulated for patients suffering from Severe Resitant Infections. 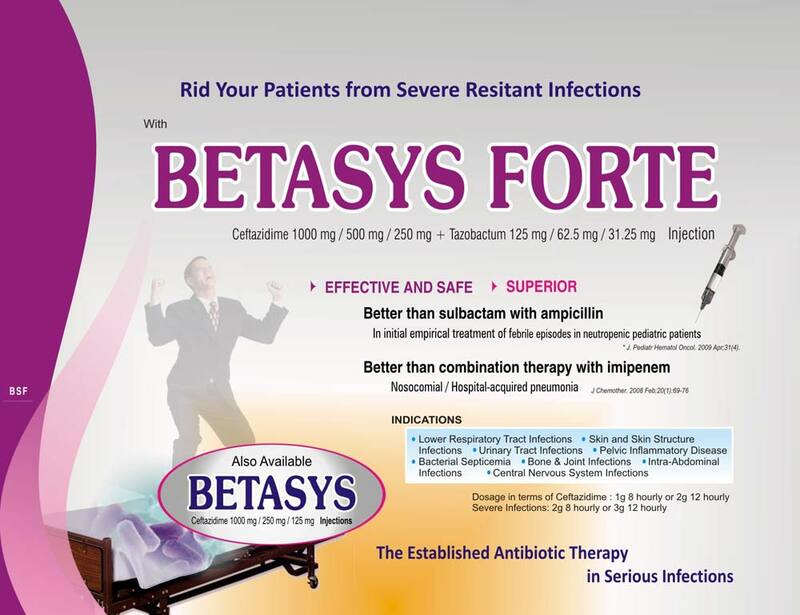 The Ceftazidime 1000 mg / 250 mg / 125 mg Injections are established antibiotic therapy in serious infections. Ceftazidime Tazobactam is easily available as Ceftazidime 1000 mg / 500 mg / 250 mg + Tazobactum 125 mg / 62.5 mg / 31.25 mg Injection.